Aboriginals can and should bargain hard as they increasingly consider real development, including pipelines. Read my latest op-ed co-authored by Ken Coates below. Is this community ready for the Enbridge pipeline? The Haisla First Nation live in one of the most beautiful spots on Earth, on the west coast near the aluminum town of Kitimat. The town’s massive smelter has long been a sore spot among the Haisla, dropped into their traditional territory in the pro-development 1950 without consultation or substantial compensation. Now, the Haisla find themselves on the front lines of one of the most important Canadian environmental and development debates of the 21st century, but they are no longer the powerless victims of a half century ago. If Enbridge’s Northern Gateway pipeline proceeds, it will terminate on Haisla territory. If having oil sands bitumen piped through the Haisla homeland and loaded onto ships headed to Asia were not enough, Kitimat is also the planned site for major natural gas liquefaction (LNG) and shipment. With Kitimat sitting at the end of the picturesque Douglas Channel, and with the vital ocean resources of the Northwest Coast at risk of possible tanker spills, it is hardly surprising that the Haisla would be front and centre in the controversy about the latest Western Canadian mega-projects. They were part of a broad coalition of groups opposing the Northern Gateway, but active proponents of the LNG initiative. In early December 2012, the Haisla shifted their position. Following extensive consultations with developers and Ottawa, the Haisla withdrew from the Coastal First Nations, a high profile opponent of Northern Gateway. While Haisla Chief Councillor Ellis Ross made it clear that the First Nation has serious questions about the proposed development — and equally about the ability of companies and governments to keep their promises — he also indicated that the Haisla were open to further discussions. Pipeline and LNG project opponents, including other First Nations and environmentalists, are not amused. While there may be surprise and disappointment for some at this turn of events, it was entirely foreseeable. Environmental groups and other opponents found much solace in Aboriginal opposition to the pipeline and used the common cause with the First Nations to bolster their cause politically. Many Canadians, for their part, still harbour the suspicion that Indigenous peoples automatically oppose resource development, thus obstructing prosperity for the country as a whole. Those of us who follow First Nations engagement with resource extraction, however, have seen a very different and welcome pattern emerging. That pattern looks something like this: opposition, extensive and often heated discussions, openness to negotiations and, in a growing number of cases, approval of development projects. The initial reaction is not cynical posturing or simple politicking. A major development carries enormous risks for First Nations, traditional livelihoods, and local environments. Add to this an often unfortunate history of resource activity in remote regions, with First Nations too often left to clean up an environmental and social mess and precious little in the way of financial or economic returns to show for it. Caution comes naturally in such situations. But that justified caution does not mean First Nations aren’t interested in genuine opportunity. They know full well that the Supreme Court-imposed duty to consult and other legal victories stop well short of giving them a veto over development; they have the power to slow projects, to challenge, and to negotiate, but not the authority to kill most resource activities. Most follow a logic close to that of the Haisla, whose website, under the heading “Purpose,” includes this clear statement: “We support environmentally responsible development that creates opportunities for our community.” After careful study and much debate, for example, the Haisla supported the Kitimat LNG plant proposal, largely because of the anticipated economic benefits for the community. The Haisla situation offers some key lessons in how natural resource development goes ahead in modern Canada. First, Indigenous peoples are not automatically opposed to development, nor are they naïve unconditional defenders of a “pristine” environment which is also devoid of economic opportunity for their people. They increasingly understand their authority and use it to extract appropriate economic and environmental concessions from resource companies and governments. Secondly, companies have found many mutually beneficial ways to work with Aboriginal groups, primarily through some combination of training and employment, revenue sharing, joint ventures, and specific community benefits. Third, collaborative arrangements have been working quite well, creating Aboriginal jobs, businesses, joint venture operations and revenue streams for Indigenous communities. What a change this has been from arrangements only a few decades ago. There is a larger point that needs to be remembered. Aboriginal governments and communities are frustrated by the poverty, cultural loss, unemployment, social challenges and lack of optimism among their people. The vast majority of Indigenous leaders understand, too, that dependence on Ottawa is no long-term solution. They want the political means and resources to control their future. Remote communities — the majority of the First Nations and Inuit villages in Canada — know that there are precious few opportunities to create lasting jobs or to secure substantial revenues for their communities. Resource developments, properly done and with a fair return to the Indigenous peoples, are one of the very few opportunities available to Indigenous governments wishing to control their own destiny. In this context, the Haisla stance on the Kitimat LNG and Northern Gateway projects makes a great deal of sense. This First Nation has only a handful of opportunities to set themselves on course for meaningful autonomy, with the jobs, businesses and revenue needed to respond to community needs. If the Kitimat LNG plant were to disappear, and if the pipeline project is killed, the Haisla will have lost a rare Indigenous opportunity for sustainable prosperity. The Haisla, like other First Nations, will proceed. Hasty deals and ill-considered concessions will be largely a thing of the past. They will, quite properly, bargain very hard. They could, in the end, walk away from the deal if the environmental protections are insufficient or the financial returns too meagre. But the Haisla, like many Aboriginal groups, are willing to talk. 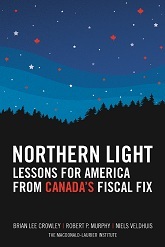 It is here, in the openness of Aboriginal leaders and governments to reasoned economic give-and-take among equal partners, that the future of Canada’s economy almost certainly lies. Brian Lee Crowley (twitter.com/brianleecrowley) is the managing director of the Macdonald-Laurier Institute, an independent non-partisan public policy think tank in Ottawa (www.macdonaldlaurier.ca). Ken Coates is the Canada Research Chair in Regional Innovation at the Johnson-Shoyama Graduate School of Public Policy, University of Saskatchewan.